For enthusiasts and Mugen fans the like, Scythe is "setting free" the Mugen MAX. Another contender for the "XL" CPU tower cooler market, the Mugen MAX is a real eye-catcher. 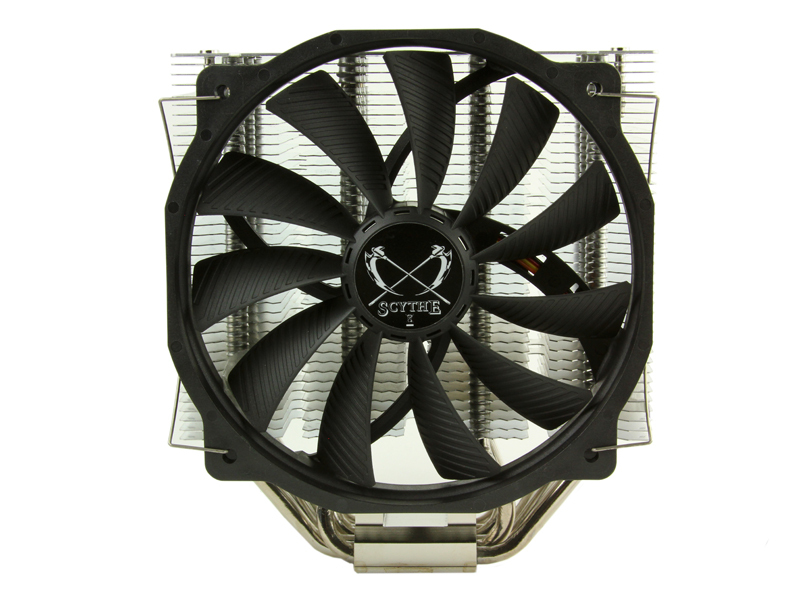 For performance, a GlideStream 140mm PWM fan is taking care of blowing out the warm air through the T-M.A.P.S. (Three-dimensional Multiple Airflow Pass- through Structure) knowm from Scythe's flagship, the Mugen 4. For practical, easy mounting, the mounting system is borrowed from the "smaller brother" as well. 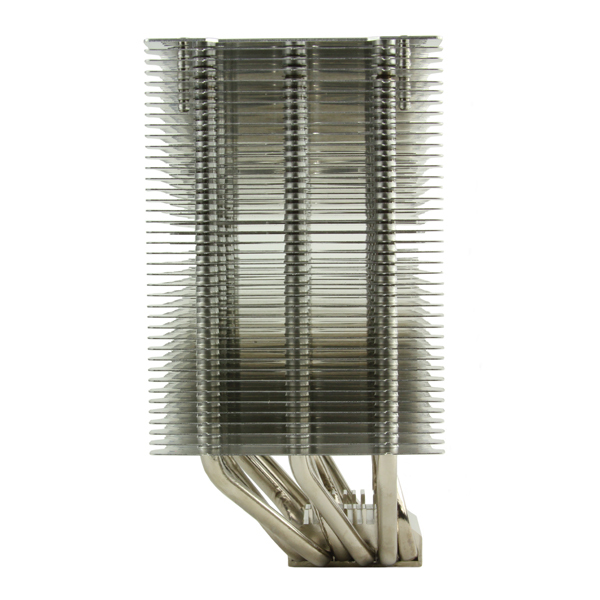 Nickel-plated heatpipes add a classy touch to this impressive cooler. 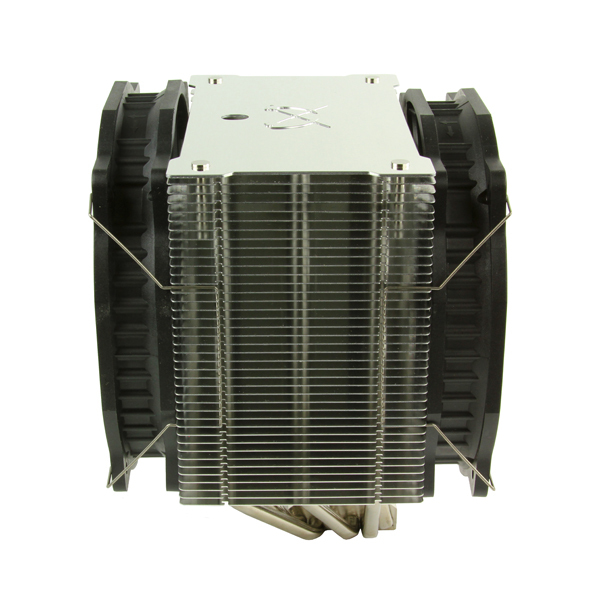 The huge appearing heatsink with increased heatfin spacing to 2.6 mm of the Mugen MAX offers reduced windage and optimized performance in the lower speedrange of the supplied 140mm PWM fan. The mounting system already seen in the Mugen 4 can be found again here - the proven H.P.M.S (Hyper Precision Mounting System) makes easy mounting possible - requiring less work steps on the way. This briliant concept allows fitting the Mugen MAX without having to demount the motherboard. 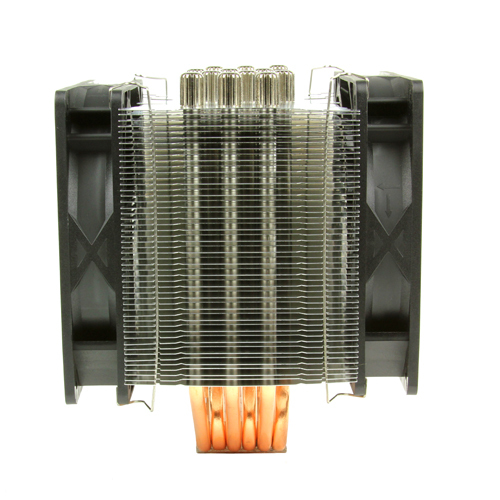 Inheritng the concept of the Mugen 4, the design of the MAX also allows variable fan placement to optimize a targeted airflow.To furthermore enhance cooling performance, a second fan can be mounted with thesupplied pair of fan clips. Accompanying the Mugen MAX is a fan from the popular GlideStream family, known for impressive results from other Scythe products. Compared to a 120 mm, higher efficiency at identical rpms result in similar air discharge while creating much less noise. 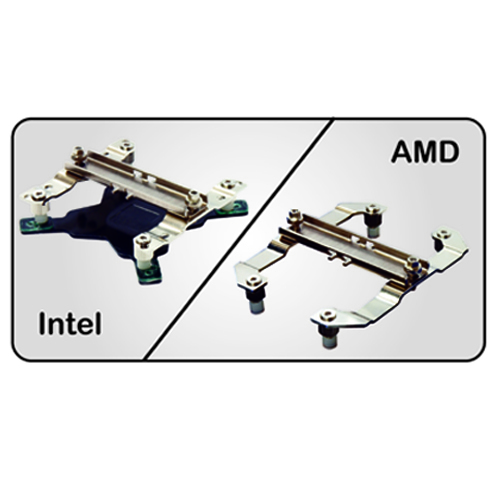 Please note that for mounting on motherboards with the AMD-Socket, the original back plate of the motherboard will be necessary. Please confirm if it is on hand prior to your purchase.